At Mount of Olives, we believe that we serve the living, inspirational, creative God ( “In the beginning, God created…” - Genesis 1:1). The Creative Arts speak to our senses through stories, sounds, sights, etc. The arts are an expressive way of communicating deep truths to our hearts and minds, many times in ways that mere words never could. 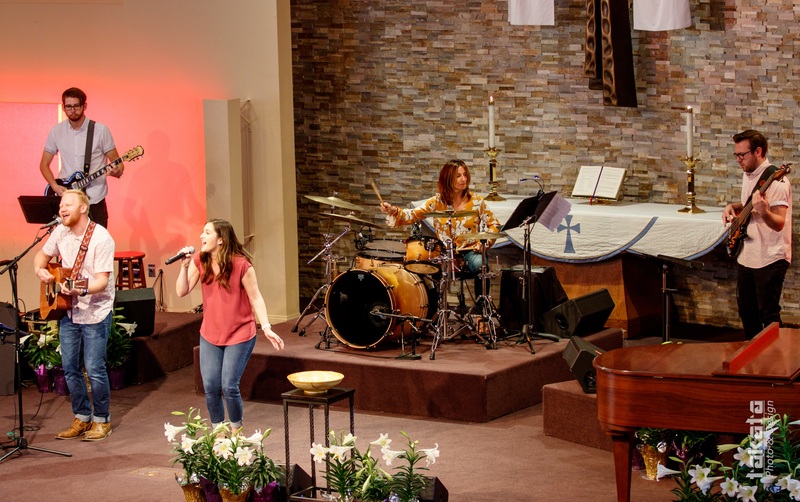 Our weekly worship services are a collaboration of music, visual arts, liturgy, creative movement, dramatic arts, and technical arts. Since there is no one “correct” way to worship God, we incorporate different styles of worship into our different services.